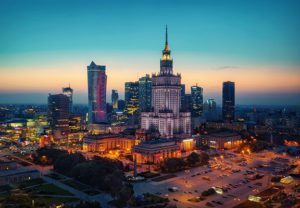 Since January 1, 2019, the provisions of the Polish Tax Ordinance Act introducing an obligation to report so-called tax schemes have been enforced. The provisions regarding the tax scheme reporting can be found in Section III of the Tax Ordinance Act, in Chapter 11a (Article 86a – Article 86o) entitled Information on Tax Schemes. These provisions apply to all taxpayers, persons and entities providing tax or legal advisory services, for example, employees of financial institutions or notary public. The new provisions constitute the implementation of Directive 2018/822. In accordance with Directive 2018/822, the reporting of tax schemes, as a rule, was supposed to apply only to cross-border schemes, i.e. the schemes that refer to more than one Member State or concern a Member State and a third country. However, the Polish legislator introduced the reporting obligation also in relation to domestic tax schemes. On January 31, 2019, the Polish Ministry of Finance released the official and final explanations of provisions regarding tax scheme reporting. If you would like additional information, please contact Monika Poteraj, Michał Kłos or Anna Łaszczuk at Andersen Tax & Legal in Poland.